I think there is a lack of education along with eating meat in our country, I know this because after being a chef for the last 10 years I really didn’t think about the process of eating meat until just recently. It sounds like an extreme conspiracy theory but yet it is true that our country’s Agriculture department is a huge money maker allowing horrible practices for the animals we eat and our environment. I like to remind myself the vegan movement is not asking for your money, beans and grains are very cheap, they are asking for you to care about animals, yourself and our environment. Yet the meat industry is making money and fund associations and government programs to keep meat and diary important in our culture. Why are we still okay with eating meat? We do not need meat for any reason nutritionally, in fact is is much healthier for us to not consume animal products. We have also learned that we do not need any nutrition from animal products that we cannot get from plant-based. I have always thought that we needed meat for protein but that is not true and protein is found in many plant-based foods. So why are we still eating Animal Products…??? Tastes? 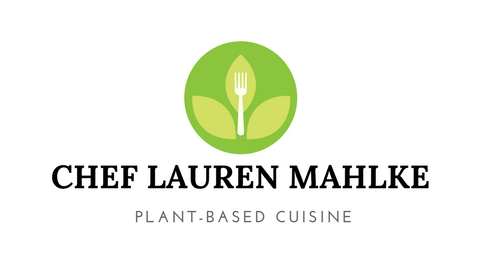 That is where I come in as a Chef you can trust me you will be eating well with a Vegan menu always satisfied, full and eating a delicious menu. You will have to cook more at home but we all know that is better for us and with time and more education there will be more plant-based options on restaurant menus. Please have an open mind, educate yourself, try eating plant based, it is important to watch Forks Over Knives and What the Health on Netflix and make your own decisions. This was one of my favorite Tortilla Soups I have ever had you will not miss the meat. In a large pot saute onions in olive oil for 5 minutes on medium heat. Add potatoes, celery, carrots, and soy chorizo season with salt and pepper saute for another 10 minutes. If using a crock pot place items from pot into hot crock pot or if doing on stove add beans, cumin, big spoon of salt and stock to pot. Simmer on low for 1-1.5 hours uncovered or in crock pot on low for 8 hours or high for 6. Add more water if needed. Taste for seasoning and garnish.